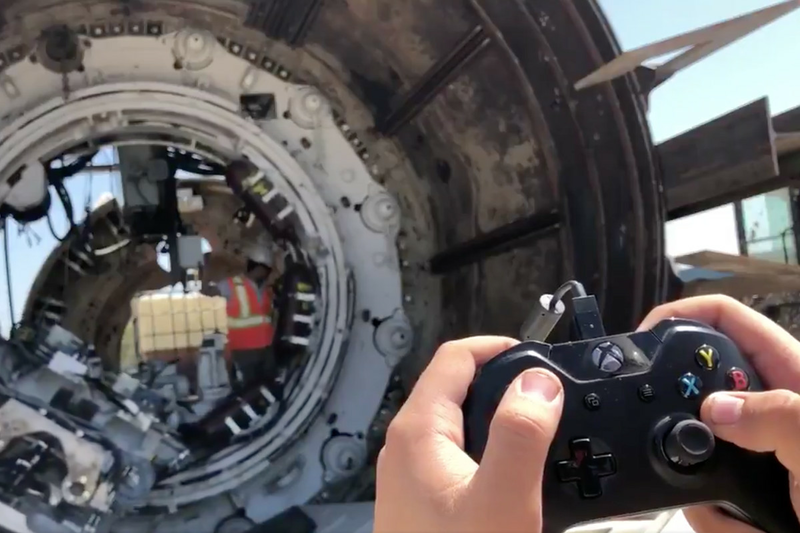 Elon Musk’s The Boring Company showed off a new method for operating one of its massive boring machines: an Xbox controller.The company posted a short video on Twitter showing off an operator controlling a section of the machine with the device. The company began its work in April 2017 by digging a trench at SpaceX’s Hawthorne, CA headquarters and was given approval to extend that tunnel for two miles under the city later that summer. It also began projects under LA’s Highway 405, and was given approval to dig under Washington DC, and Chicago. On Twitter, Musk noted that the video shows off one of the company’s new machines. This isn’t the first time a gaming controller has been repurposed for non-game activities: the USS Colorado went into service earlier this year with a Xbox 360 controller onboard to control its photonic masts. By using video game controllers, the military can piggyback on the billions of dollars that game companies have already spent designing controllers and training up an entire generation in their use for battlefield robots.